Shetland’s main port at the crossroads of the North Sea and north-east Atlantic. It is also Britain’s most northerly commercial port. 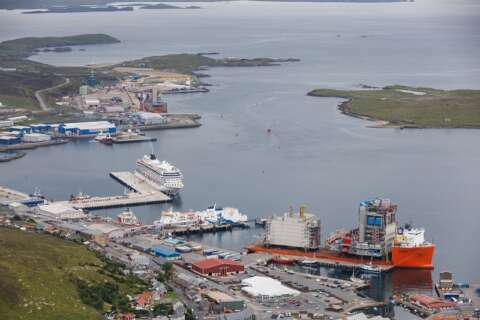 The harbour is one of the principal deep water ports in the northern North Sea with 2 natural entrances and one of the key ports for servicing offshore oil and gas operations in the East and West Shetland basins. 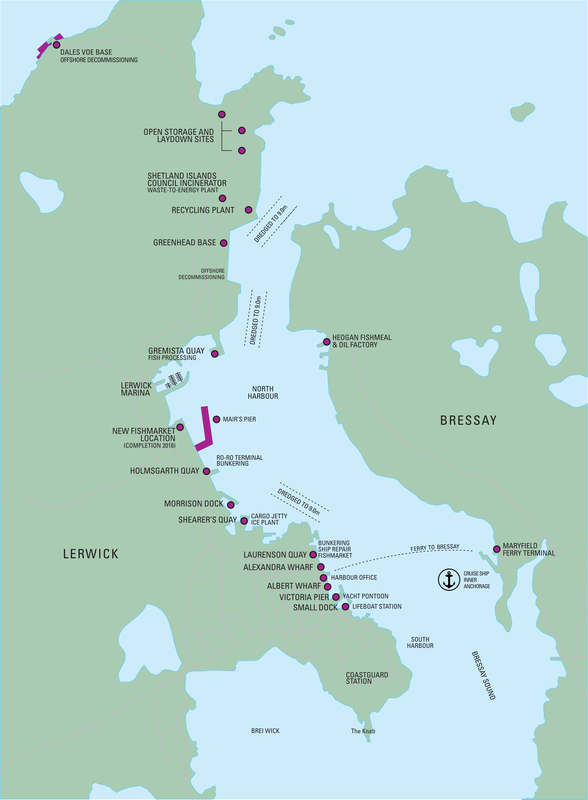 The port’s geographic position, deep water anchorages and quays, and extensive laydown and storage areas mean that Lerwick is ideally suited to support such operations, with a particular demand currently in servicing decommissioning and subsea projects. Dredging improvements are planned for 2018 to complement new quays at Dales Voe and Mair's Pier which were completed in 2016. Dales Voe at Lerwick, with its naturally deep water in the voe, is an ideal location for an ultra-deep quay to allow Semi Submersible Crane Vessels a UK port solution for offshore decommissioning.